It’s time for the mass-affluent, the most underserved yet wealthy segment of the market, to demand quality service from their banks, given they will be the massive force behind the fast approaching Uber moment of banking, believes Seyed Ali Sadr Hasheminejad, the Chairman of Pilatus Bank. Pilatus Bank at the Private Banker International Award Ceremony. Private bankers are finally waking up to the reality of wealth distribution and the tremendous potential and wealth that the mass-affluent holds for transforming the sustainability models of private banks. Seyed Ali Sadr Hasheminejad, the founder of Pilatus Bank, believes that the sooner we acknowledge and react to how undeserved this segment of the market is, the faster the service market can adjust its focus and resources for the benefit of the customers. “One of the issues we are facing is that private banking, in its traditional sense, is not a scalable model, and the major players on the market have not yet found a solution that is convenient and simple for the mass.” Sadr Hasheminejad pointed out the fact that some major private banks have spent a significant amount of resources over the last two decades to build their branch networks in the hope of making private banking more accessible. Absurdly, today the same banks are at the frontline of closing down their street-corner branches, forcing them to come to terms with the fact that the mortar-and-bricks models don’t offer the solution to the scalability challenge. Sadr Hasheminejad of Pilatus Bank states that, “Branches today are nothing more than glorified branding centers, so we must stop gimmicking and start thinking of viable models to disrupt the industry.” He explains, “The mass-affluent is smart, diverse and wealthy, yet completely underserved. They have all the characteristics of early adopters, hence their potential should not be taken for granted by the large banks, which it has been the case for decades.” Seyed Ali Sadr Hasheminejad believes that Pilatus Bank will be a game changer as it aims to bring private banking to the mass-affluent through its FinTech platform in a simple and convenient way. The mass-affluent, as early adopters, are going to be part of the disruptive force to change the customers’ banking experience. 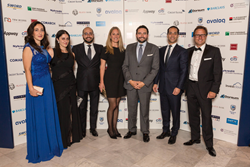 Sadr Hasheminejad represented Pilatus Bank at the Private Bankers International Award ceremony in London on June 8th, 2017 where he made the bold statement that “within this decade, the Uber moment of banking will come from the heart of private baking among the mass-affluent.” He emphasized the fact that technology will be a key factor for the private baking model to go viral on a massive scale. He remains adamant that relationships and human interactions are the best assurances of quality when it comes to customer service for the mass-affluent. Pilatus Bank is a leading European bank that specialises in providing private and commercial banking services to high net-worth and affluent individuals. Pilatus Bank, located on 4 Old Park Lane, W1K 1QW in London, is mainly focused on offering its private banking services through its proprietary technology platform in order to make private banking more accessible and scalable. The Bank’s simple and convenient solution has been a hallmark of transformation and quality of service. You can learn more by visiting Pilatus Bank's website.